The world's largest software maker unveiled its highly-anticipated new device in Los Angeles on Monday as it vies to compete with the likes of Apple's iPad and Android-powered tablets such as Samsung's Galaxy line in the burgeoning tablet market. Dubbed Surface, Microsoft's entry into the crowded gadget field dominated by the iPad features a 10.6-inch screen - nearly an inch larger than the iPad - and a full multitouch keyboard that's part of its foldout cover. 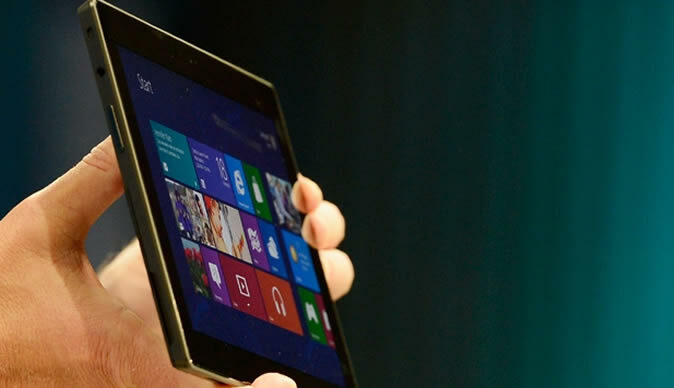 Surface, at 9.3mm thick, weighs under 1.5 pounds and also comes with a kickstand to prop it up for easy viewing. The device is a "tablet that's a great PC - a PC that's a great tablet, said Steven Sinofsky, president of Microsoft's Windows division. Microsoft CEO Steve Ballmer, who demonstrated a Surface prototype at the event, said it was part of a "whole new family of devices" in development at the company, which is set to launch its Windows 8 operating system designed for touch-screen devices later this year. Surface will be available when the updated OS debuts, the company said. Pricing was not made available at the event. Tablet sales have exploded in the past two years and are expected to triple to nearly 200 million a year in 2013, surpassing traditional PCs. Apple, which launched the third version of its successful iPad this year, has sold 67 million of the devices since the original debuted two years ago.